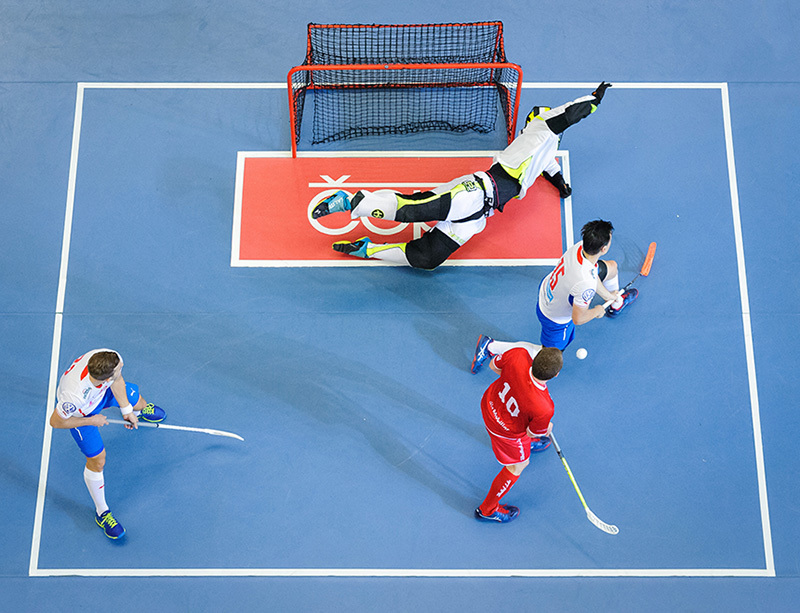 Patrik Doza scored two seconds before the final whistle to ensure win for the home side Czech republic in the last Euro Floorball Tour game in Pardubice. This article looks into the game from the data perspective (We are using possession-based approach working with specific variables that are defined in this article). Which team deserved to win? Looking at traditional starts such as shots on goals (12-24 from home team perspective) or shot attempts (28-45) could be misleading. Let´s look on possession distribution in the game for both teams. Czech republic had 18 quick attack possessions against Finland in their 0-4 loss. In this game it was them who generated more of these situations than opponent (28-23). Switzerland tried to control the game with slow attack possessions. Four even strength goals were scored from slow attacks in this game and that created a score of 2-2. One argument for Swiss side are definitely power play situations. Czechs had one power play opportunity, Switzerland two and they were more dangerous. Switzerland generated 4 clear path opportunities, executed three of them and scored one goal. That brings us to a score 2-3. The rest of goals in this game happened from quick attacks. Czech team not only had more quick attack attempts in the game (28-23) but was able to generate more odd man rushes from these situations (10-5) as seen in the graph above. Last and decisive goal was scored in the same fashion. Czechs outscored Switzerland 3-1 from quick attack possessions (2-0 from odd man rushes) and recorded 5-4 win at the end of the day. Switzerland team was not a worse team in the game overall. They were very successful in yielding (15-18) but also executing (6-13) even strength clear paths overall. But they could not convert more than Czechs from these chances (2-2). When evaluating players it is always advisable to wait for solid data sample. From one game we can only see what situations happened with certain player on the field but please do not put too much praise or ditch any player based on one game. We looked at which lines were successful in odd man rush opportunities created (showed as ood man rush differential in the graph) but also in clear path opportunities (differential on horizontal axis). Members of the Czech second line Bauer, Kisugite, Langer, Ondrušek created together two more odd man rushes than their opponents. The most successful line for generating clear paths was from team Switzerland, namely Camenisch, Burki, Hartmann, Hoffbauer and Zaugg with 3 more clear path opportunities generated than opponents. In this game more Swiss chances created from clear paths were beaten by Czech resiliency of their quick attacks. Could the lady luck played her role as well? Maybe and that is what makes sport so interesting to follow.